Godrej Consumer Products is a fast moving consumer goods company, manufacturing and marketing Household and Personal Care products. The company has been nominated for CNBC IBLA outstanding company of the year award 2019. Today, the Group enjoys the patronage of 1.15 billion consumers globally, across different businesses. 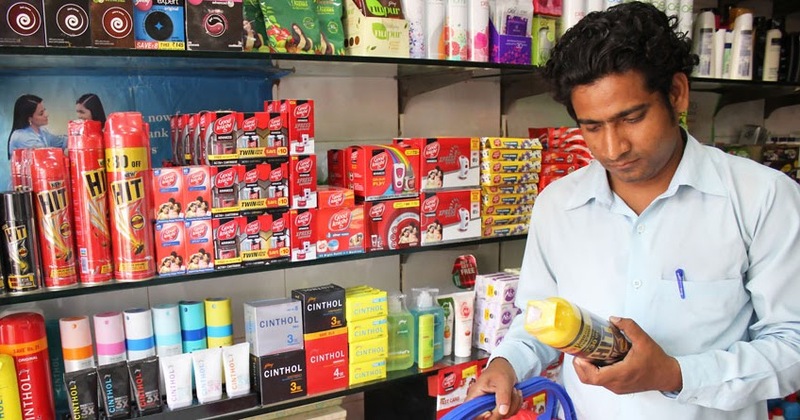 In line with their 3 by 3 approach to international expansion at Godrej Consumer Products, they are building a presence in 3 emerging markets (Asia, Africa, Latin America) across 3 categories (home care, personal care, hair care). 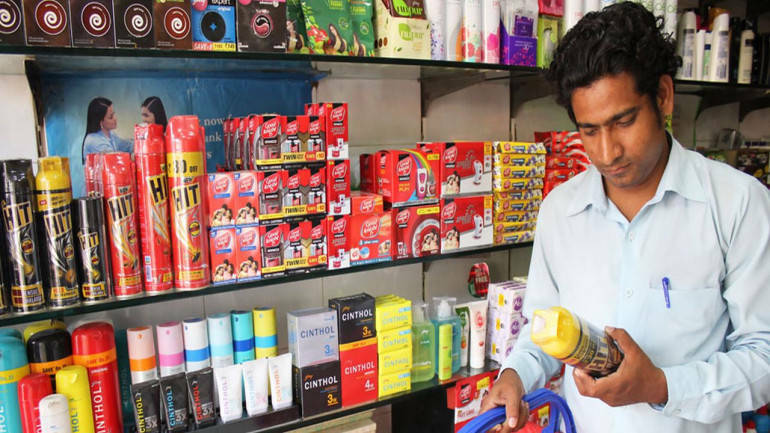 They rank among the largest household insecticide and hair care players in emerging markets. In household insecticides, they are the leader in India and Indonesia and are expanding their footprint in Africa. They are the leader in serving the hair care needs of women of African descent, the number one player in hair colour in India and Sub-Saharan Africa, and among the leading players in Latin America. They rank number two in soaps in India, are the number one player in air fresheners in India and Indonesia, and a leader in wet tissues in Indonesia. Total Income - The company has managed to grow revenue consistently over years. Though the growth has slowed in recent years. Net Profit Margin - The NP margin has increased in last couple of years driven by cost savings initiatives initiated across markets. The NP margin is >10% and mostly stable which is a healthy indicator of pricing power the company enjoys. For e.g. the company is facing rising cost challenges in Argentina which it plans to pass over to customers. Reasonable debt - The company carries reasonable debt on its balance sheet (<2 times of annual net profit). Too much of debt kills the profit and becomes a burden during stressed times. Cash Flow - The company’s cash flow looks healthy. It has been generating free cash flow consistently. Generating free cash flow is a healthy sign as that shows that the company does not need a continuous investment in research and capacity build which exceeds the cash flow/profit it generates. 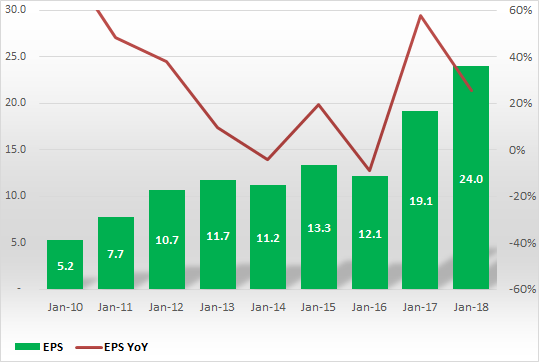 Return on Equity - The company has been improving its RoE in the last couple of years driven by increase in profit margin. RoE >20% is a good indicator of efficient capital allocation. Inventory management - The company has been managing inventory quite well. 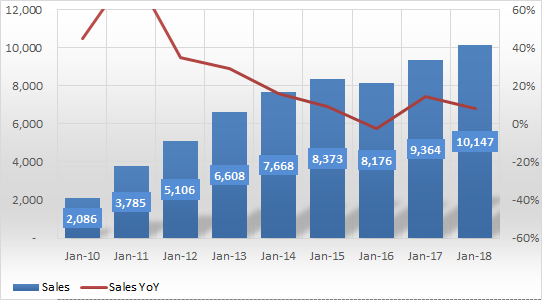 The growth rate of sales exceeds that of inventory. Inventory pile up is a worrying sign as that indicates that the company has been struggling to push its products to the stores and eventually to customer’s homes. 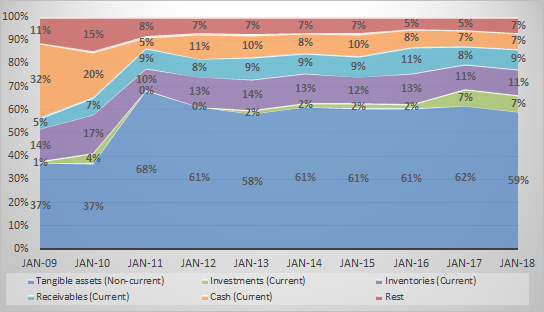 Asset Distribution - The company’s asset side looks stable and healthy. Both receivables and inventory are stable over time. 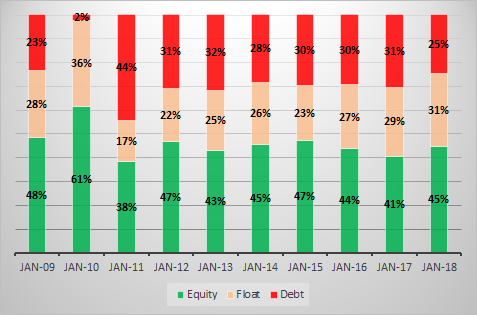 Liability distribution - Though a quarter of the liability is debt, the proportion is stable over time. One of the reasons the company has to borrow from the market is to be able to fund its acquisitions both within India and outside. The financials of the company look very pristine and healthy. Coming to valuation, the company currently trades at ~27X consolidated earnings. The PE ratio in the last 5 Yrs are ~31, ~30, ~38, ~28 and ~24. 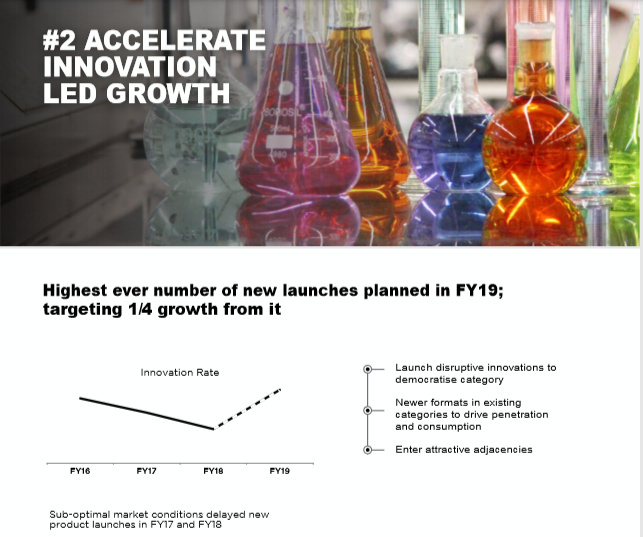 The company’s Q219 concall and investor presentation inspires confidence of exciting times ahead. Given the successful history of the company, the company looks promising to deliver on the growth plans. 1.The company is facing challenges in generating returns in Latin America and Africa (company’s ~50 revenue is generated outside India). So if these markets don’t turnaround, the overall returns of the company will be reduced. 2.Some of the acquisitions in the past couldn’t perform well. The company sold its UK subsidiary in 2018. Though the company has hinted that it will be going slow on acquisitions, any non-strategic acquisition by the company will hurt. 3.New product launches could fail to impress the customers. 4.Govt initiatives like Swatch Bharat might hurt the sales the company generates from HIT & Good Knight. The management committee of the board of directors at its meeting held on September 17 approved the allotment of 34,07,22,032 fully paid-up bonus equity shares to the existing shareholders. 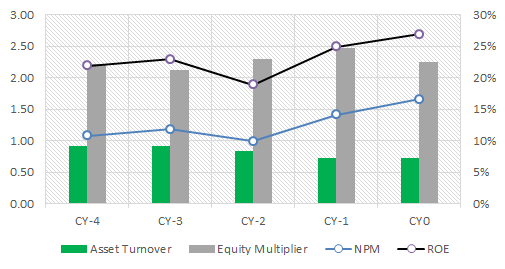 In FMCG sectors, valuation is based future projection and the valuation is attractive, if the growth is based on what the company is currently doing vs. from yet to be launched initiatives. Relative market share gain could be another important parameter in valuation: would be interesting to know if/how you would incorporate this? The company has an innovation/growth mindset. It has successfully launched innovative products at affordable price over years. The company plans for many more launches in 2019. So yes, the bet on GCPL’s ability to grow will depend on the success of these launches. 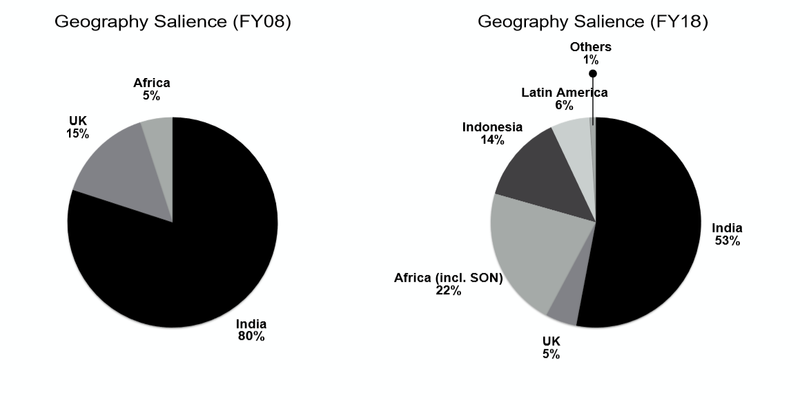 The below distribution of the geography where the company sells its products, again has an important message. The company has diversified geographically over time. Latin America and Africa haven’t yet performed to company’s expectations. Will it always stay like this? The company does not think that way and is hopeful to generate double digit return in couple of years. So the bet on GCPL is a bet on these markets shaping up as expected. 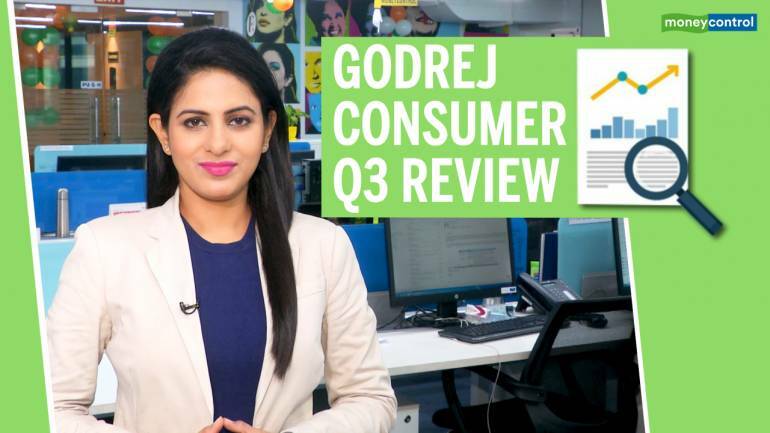 Sakshi Batra does a 3 point analysis of the key concerns of Godrej's Q3 results.